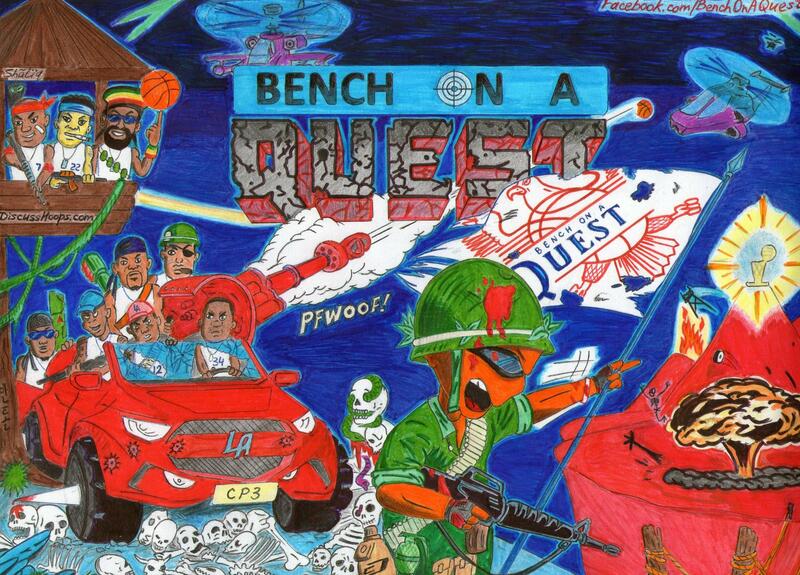 please, check out and like the official "Bench on a Quest" page (link in my sig). Your likes would be much appreciated! Many thanks in advance!! * The fractured lettering in "QUEST". * All of those skulls on the ground. One of the skulls has a snake on it. Another skull is partially bloody. * The blade out of the tire, and the partial blood dripping onto the skull, and the partially torn tires. * The fire by the hills. * The blood dripping on the goggles. * One more bullet hole on the car. * The blood on the hands and wrist. 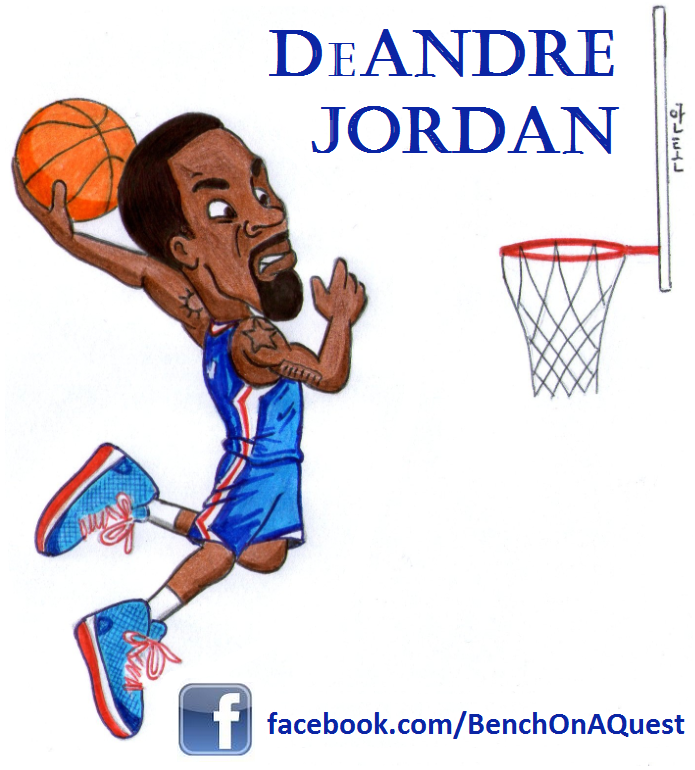 * Also, I added the 'CP3' logo on the bottle. 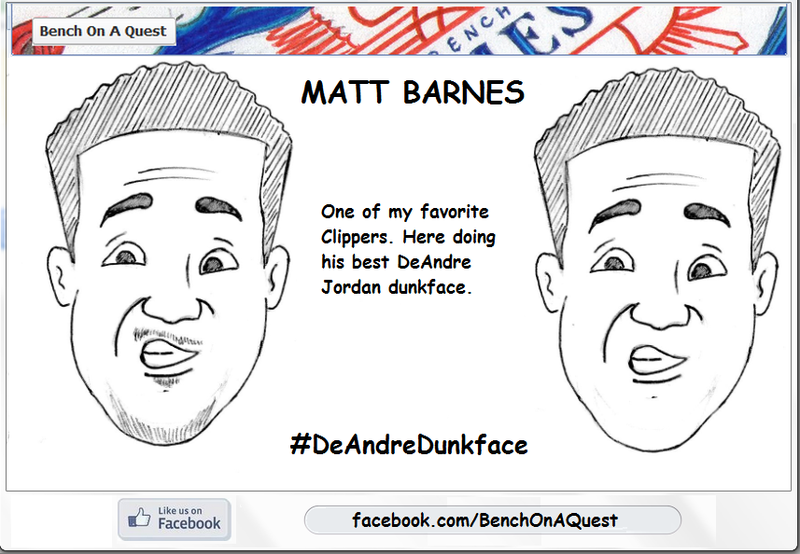 Had to make it clear that's not water, but rather - CP3's Secret Stuff (kinda like in "Space Jam"). Also, the sky/atmosphere isn't as detailed as last time yet, but the foreground is more detailed. The first pic takes into account the surroundings more (because of the tornado and the twilight time of day). This one is focusing more on the battle. Also, did you notice that the flag is different -on v.1 it said "Lob Angeles CLIPSET" and looked new. The flag on v. 2 is old, ruggish partially torn, full of battle holes and it says "Bench On A QUEST"! 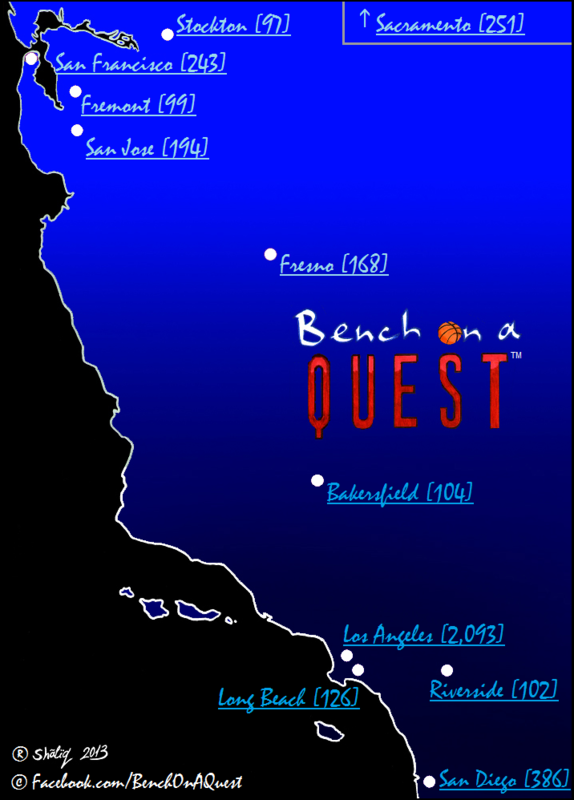 And I'd be very grateful to anyone who can help get some more likes for the "Bench On A Quest" Facebook page (link in my sig)!! It'll mean a lot! 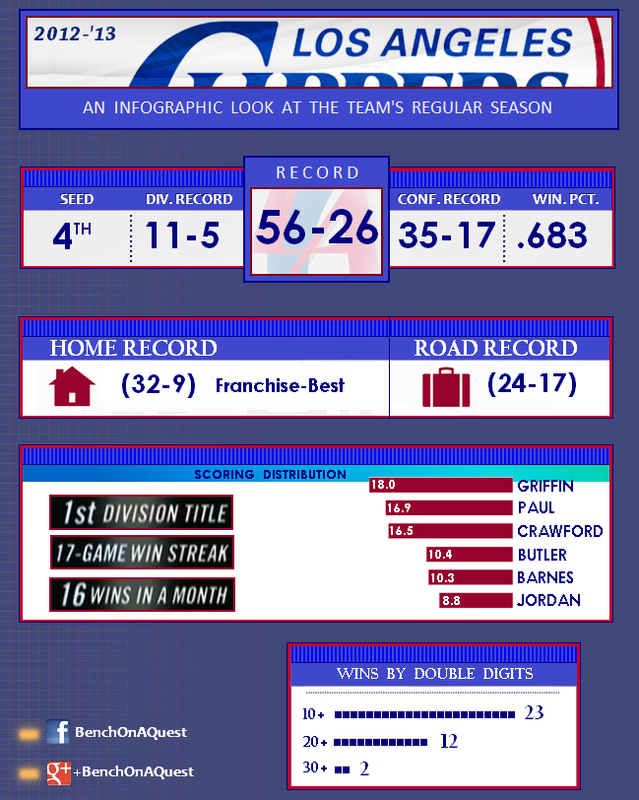 Some stats -- I haven't reached anyone in the US..
An Infographic Look at the Team's Best Regular Season Ever! What is happening in this thread?!?! JREED wrote: What is happening in this thread?!? !